As an update, I'm going to be sharing what I'm doing and what you can expect to be coming soon. Firstly, the giveaway for next month--I'm super excited about it. 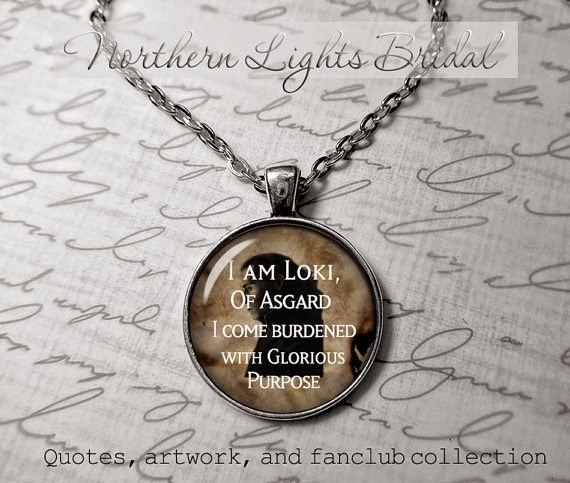 I'll be giving away a Loki Pendant Necklace from Robin of Northern Lights Bridal. She has some truly awesome stuff, and a broad selection of themes! I love her geek themes. My nerdiness flips out when seeing all her work. I have five other cohosts on board, but if you have a blog and you'd like to cohost (and have the opportunity to grow your following!) then please drop me a message! Last giveaway got over 2,000 entries. I'm a big fan of films--as I'm sure most of you know by now. I'm determined to get into the film industry. And being able to have a comprehensive book of what all went into the making of all the films is a huge treat. I'm learning a lot about what it was like to make movies at that time, and all the different people who contributed. And what it was like for everyone--to work with everyone else! I mean--in short--it's TOTALLY AWESOME. I'm just enjoying it so much. It's on my list of thing to get for my personal shelf. I also got books on the making of The Dark Knight Trilogy, and Gone With the Wind. I love children's books, they always have a certain magic--I've been enjoying these very much. Sometimes annoying and fascinating in turn, but they are definitely unique, and I love them. I've been working on network marketing, and reading up on how to make it all work. I'm really excited to be learning so much, and I greatly suggest that look into it! I've joined Ipas2, and have learned a lot already! 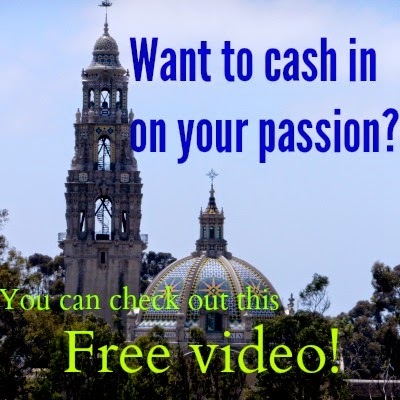 I was inspired to get into it by Nathan Buchan, who is making a living off of it, and have met many people since then. Been learning so much from them! These are some really interesting links to posts I've been reading from the various travel groups I'm part of. They were incredibly interesting--one was about various underground cities around the world, and if that doesn't stir your imagination, I don't know what will! Another is on the culture and rituals behind the Vietnamese New Year. That was seriously interesting--it was completely new for me. I love learning about other traditions!! I'm going to try to keep this up--I think "Monday Catch-ups" are a good idea, and I'm going to try to keep it as part of my weekly schedule, as a way to keep me on track with sharing what I'm doing at the moment, what I'm learning and reading. I hope you guys enjoyed this post! And like I said, if you're interested in cohosting the upcoming giveaway, drop me a line at elorashore@gmail.com, and let me know! I'll get you on the list pronto. I love working with new people! That's awesome, Zascha! I'm super excited about it too. Thanks for stopping by!